Aviation Museum of New Hampshire volunteer Chuck Poltack, of Merrimack, a former Navy flight instructor, conducts a realistic, virtual flying lesson on a flight simulator for a recent visitor, Merrimack’s Robert Bruckner, seated, as Stacy Borden, of Merrimack, the museum’s business administrator, looks on. The museum is hosting an open house event on April 21. Manchester-Boston Regional Airport, is hosting, free, from 10 a.m. to 12 p.m., on Saturday, April 21, an Aviation Education High School Course Open House. All high school juniors and seniors in New Hampshire are eligible to attend the free event. The gathering will include opportunities to talk with a course instructor who will answer questions on the unique adventure that is an up-close-and-personal learning experience for young men and women who are students in grade 11 or grade 12 of any of the state’s high schools. A wide range of topics is expected to be explored as an introduction to a comprehensive course offered in the spring and in the fall where students, especially those who are enthusiasts of STEM – Science, Technology, Engineering and Math – topics cherished by those contemplating a career in aviation or considering flight school for personal enjoyment or commercial gain. Volunteers and other staffers of the museum will offer tours during the open house. The site, formerly the main terminal building for the airport, was erected in 1937 in Art Deco style. It houses relics and artifacts and antique photos and hundreds of pieces of vintage memorabilia that chronicle the history of aviation in the Granite State. 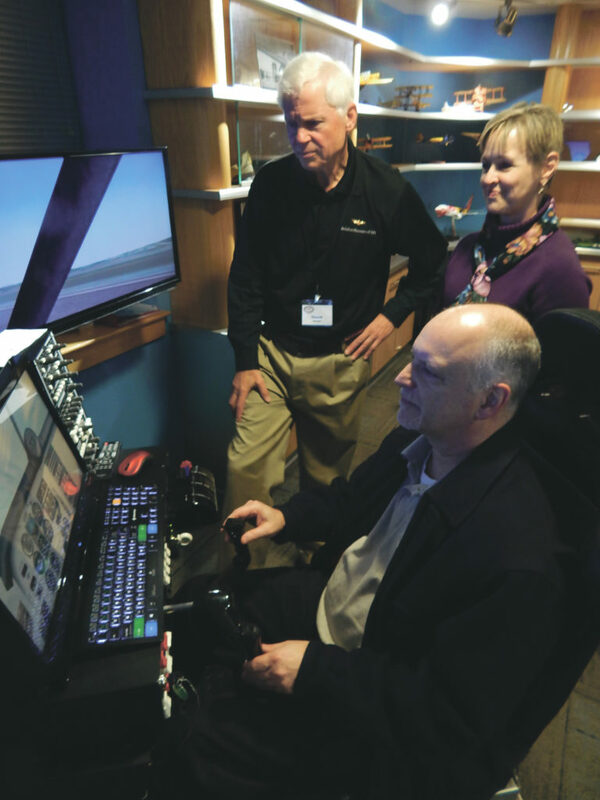 Merrimack’s Chuck Poltack, a former Navy flight instructor, often guides visitors as they “learn” to fly while seated at a high-tech flight simulator. 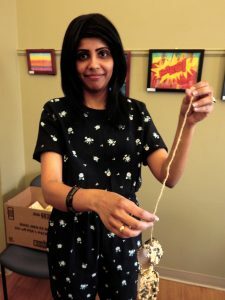 His expertise has added a hands-on component to many of the museum’s events that supplement the upcoming educational programs for young people. His review for the upcoming Aviation Education High School Course Open House surely is one of five stars. The museum offers two free courses in aviation education. The upcoming spring semester details the past, present and future of aviation with sections dedicated to the history of aviation, the physics of flight and future trends in aviation. Participants may master a challenge to create, build and test a wing design. Visitors will hear about many of the aspects of aviation education at the upcoming open house. Those who need to be elsewhere may keep in mind a similar fall semester course that shares information on careers in aviation. Generous supporters including Lincoln Financial Foundation, Signature Flight Support and BBA Aviation enable the programs. All it takes is a visit to the open house to realize that the sky’s the limit. Families wishing to visit at other times may recognize a bargain, for the museum is largely supported by members of the New Hampshire Aviation Historical Society, individual donors and corporate sponsors. The museum is open Friday and Saturday, 10 a.m. to 4 p.m., and Sunday, 1 p.m. to 4 p.m. Adult admission, $5; Seniors, age 60 or more, $4; Children 12-16, $2.50; Children under 12, Free; Families, $15 maximum; Veterans, $4; and NHAHS members, Free.